What We Do : nurtureuk exists to promote the development of nurture groups and to ensure the continuing quality of their delivery through accredited training programmes, research on effective practice, relevant publications and information exchange. Its aim is to make the nurture group approach available to all pupils who need it and also to ensure that the connections between learning and early development are understood throughout education. What We Do : Outspoken Arts Scotland Ltd is a professional performing and visual arts organisation that focuses on artists and communities with protected characteristics. We deliver arts events through engagement activities to encourage creative participation. We also offer services in design, social media, arts marketing, project management, finance and fundraising. 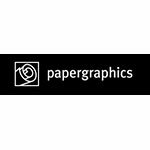 What We Do : Papergraphics is the UK’s leading and most colourful supplier of large-format inkjet print media for the graphics and CAD markets. Our products include fine art photo papers, indoor and outdoor solvent and water-based print media, digital wallcoverings, finishing laminates, films and proofing media ... from the exotic to the everyday, we know print materials inside out! 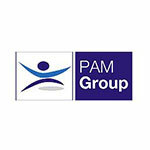 What We Do : People Asset Management Ltd (PAM) provides integrated occupational health and well-being services to a range of clients, in both the public and private sectors. What We Do : Pinnacle Business Water is a licensed water supplier working with commercial water customers throughout Scotland. We are friendly, helpful and very experienced. We give 100% customer service – guaranteed. What We Do : Formed in 2010, Print Studio Scotland was established to provide a combined professional Graphic Design and Print solution for businesses throughout the UK.